A comprehensive worldwide study of alcohol use and its impact on health concludes that the safest level of consumption is zero. The Global Burden of Disease Study 2016 has calculated levels of alcohol use and its effects on health during 1990–2016 in 195 countries. The research, which now features in the journal The Lancet, notes that in 2016, alcohol use was responsible for almost 3 million deaths globally. Alcohol use was the main cause of death for people aged 15–49 that year, accounting for 12 percent of deaths in men of that age. What we put into our system counts a lot toward our daily health and ultimate longevity. So, I thought this study on increasing seniors drinking was relevant. Most older Americans drink alcohol. Given that this segment of the population is projected to almost double by 2050, reaching 112 million, in the future, there will likely be many more older drinkers in the United States than currently. Importantly, older individuals are more sensitive to alcohol’s effects than their younger counterparts, and are also more likely to take prescription medications that can interact negatively with alcohol, potentially leading to falls and other injuries. This study examined trends in drinking status among U.S. adults 60 years of age and older. There is a ton of good information in this. Read it and reap! Anxiety seems to be a near-universal condition. In the United States alone, approximately 40 million adults – or 18 percent of the population – suffer from an anxiety disorder. And these numbers represent only the diagnosed (i.e. reported). The actual number is likely to be significantly higher. The truth is that society is somewhat to blame (not to negate our own sense of responsibility.) We’ve managed to build a 24/7 “constantly connected” infrastructure that has permeated into schools, businesses and elsewhere. Many people are under constant pressure to succeed; most ironically by leveraging this very infrastructure. This only exacerbates the problem. “Prevention is the best cure” is a universal axiom within the medical community, including within the mental health sphere. Understanding what “triggers” certain symptoms or condition can – in some instances – drastically reduce the likelihood of a symptom or episode. Regular readers know that I am a senior citizen; will be 77 in January. So, I have a lot of senior friends. We have all experienced ‘senior moments’ when we find our memory becoming slightly elusive. Because my family has had Alzheimer’s and other forms of dementia I am particularly sensitive to any brain stuff. So I was impressed with the suggestions that Harvard brought forward regarding enhancing our memory. 1. Manage your stress. The constant drumbeat of daily stresses such as deadline pressures or petty arguments can certainly distract you and affect your ability to focus and recall. But the bigger problem is an ongoing sense of anxiety — that can lead to memory impairment. If you don’t have a strategy in place for managing your stress, protecting your memory is one reason to get one. Deep breathing, meditation, yoga, and a “mindful” approach to living can all help. I have posted a number of times on stress. You can find them by searching s t r e s s in the box at the right. If you want one excellent example check out: Super tools for handling stress. I thought it only fair to send this as my previous post mentioned alcohol (in small amounts) as a treat. Alcohol researcher Jennie Connor says the link is a causal one and that no alcohol is considered safe and risk does go up as you drink. Alcohol is a direct cause of seven forms of cancer. Tough words to swallow, but those are the conclusions of researchers from New Zealand, who say they found that no matter how much you drink, alcohol will increase your risk of cancer. 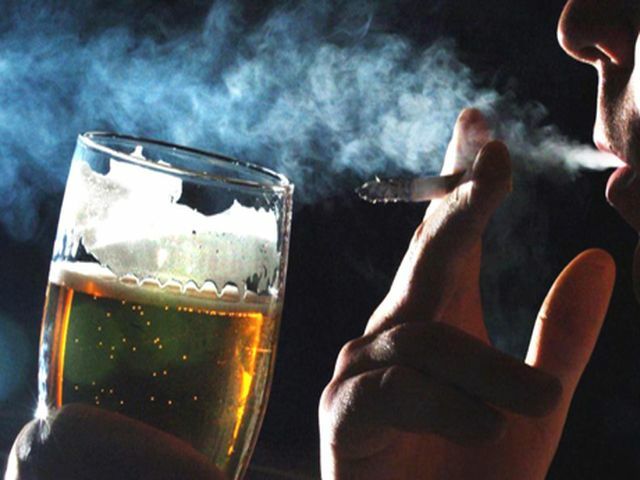 “There is strong evidence that alcohol causes cancer at seven sites in the body and probably others,” the authors write in the latest issue of the journal Addiction. Regardless of your age or family history, a stroke doesn’t have to be inevitable. Here are some ways to protect yourself starting today, Harvard Health Publications said. But , what is a stroke? A stroke is a “brain attack.” It can happen to anyone at any time. It occurs when blood flow to an area of brain is cut off. When this happens, brain cells are deprived of oxygen and begin to die. When brain cells die during a stroke, abilities controlled by that area of the brain such as memory and muscle control are lost, according to the National Stroke Association. • Every 4 minutes someone dies from stroke. Age makes us more susceptible to having a stroke, as does having a mother, father, or other close relative who has had a stroke. I love infographics because they get so much information across in so little time. In this one eat less; move more; live longer is demonstrated time and again: Eat for energy, exercise, get enough sleep, get fresh air…. The only thing missing is Don’t smoke. Alcohol kills more teenagers than all other drugs combined. It is a factor in the three leading causes of death among 15- to 24-year-olds: accidents, homicides and suicides. The Foundation for a Drug-Free World reports: Youth who drink are 7.5 times more likely to use other illegal drugs and fifty times more likely to use cocaine than young people who never drink. One survey found that 32% of the heavy drinkers over 12 were also illegal drug users. I ran across this fascinating infographic this morning and thought you might be interested. Duh! What a shocker, right? But please don’t let that obviousness (?) keep you from reading this as it includes quality of life insights which are important. Back in 1965 a group of researchers decided to study quality of life, not just existence. They wanted to learn the effect of personal health habits on the quality of life, chronic conditions and mortality. The researchers decided to study the health practices of a large sample of the population of Alameda County in California. The information for the study came from 6,928 residents in Alameda county. There were 3,158 men and 3,770 women. The sample included 360 men and 530 women over the age of 65. The study showed that people who consume alcohol more frequently than twice a week have over a threefold risk of stroke mortality than people who do not consume alcohol at all. The risk of stroke mortality is elevated irrespective of the amount of alcohol consumed. Consuming alcohol more frequently than twice a week increases the risk of stroke mortality in men, according to a study carried out at the University of Eastern Finland. The results show that the effects of alcohol are not limited to the amount consumed, but also the frequency of drinking matters. The results were published in Acta Neurologica Scandinavica. If you are a smoker, alcohol drinker, and/or take the pill, it would be wise to have your Selenium levels tested every time you see your physician. With New Year’s Eve looming and the prospect of drinking alcohol as an integral part of our celebration, the Harvard School of Public Health has some suggestions on the healthy use of alcohol. Moderate drinking amounts to one drink a day for women, for men whose bodies on average are larger, it’s up to two drinks a day. As the illustration shows: one drink is 12 ounces of beer, 5 ounces of wine and 1-1/2 ounces of hard liquor. 1. If you don’t drink, there’s no need to start. For some people—especially pregnant women, people recovering from alcohol addiction, people with a family history of alcoholism, people with liver disease, and people taking one or more medications that interact with alcohol—the risks of drinking outweigh the benefits. There are other ways to boost your heart health and lower your risk of diabetes, such as getting more active, staying at a healthy weight, or eating healthy fats and whole grains. 2. If you do drink, drink in moderation—and choose whatever drink you like. Wine, beer, or spirits—each seems to have the same health benefits as long as moderation’s the word (no more than one drink per day for women, and no more than two drinks per day for men). 3. Take a multivitamin with folic acid. Folic acid is the synthetic form of folate, a B vitamin that may help lower the risk of heart disease and cancers of the colon and breast. Those who drink may benefit the most from getting extra folate, since alcohol moderately depletes our body’s stores. The amount in a standard multivitamin—400 micrograms—is enough, when combined with a healthy diet. 4. Ask your doctor about your drinking habits. If you (or your friends) think you may have a problem with drinking, talk to a doctor or other health professional about it. He or she can help. 5. Pick a designated driver. Alcohol and driving do not mix. If you’ve been out drinking cocktails and it’s time to head home, hand your car keys to someone who’s been sipping seltzer all night. Harvard offered a full article on alcohol here.